LONDON, England -- Fighters from a private military company called Wagner were used for deniable military operations abroad, finds an investigation by a Russian newspaper. President Vladimir Putin has sent Russian mercenaries to fight in Syria and Ukraine, decorating them for their service and concealing their casualties, according to a new report. An investigation published by Fontanka, an independent Russian newspaper, found that the Kremlin had hired members of a private military company called Wagner to go to Syria and Ukraine. The use of contractors gives Putin a deniable way of sending trained personnel to both countries. 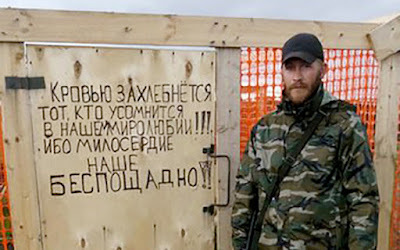 Wagner is believed to have a membership of around 1,000 mercenaries, but officially the group does not exist since Russian law forbids private military companies. But Wagner is registered in Argentina and has a training camp in the Russian village of Molkino – the same village that hosts a training site of the 10th special forces brigade of the GRU military intelligence. The Russian defence ministry has announced the deaths of six servicemen in Syria. But former members of Wagner interviewed by Fontanka claim there were several dozen fatalities in the unit last year alone. A high-ranking member of Russia's intelligence services then distributed posthumous military honours, signed by Putin. Photographs of the awards, all signed by Putin, are included in the report. The decorated men were confirmed as fighters in Wagner by other members of the unit. Others were killed in eastern Ukraine in 2014 and 2015. 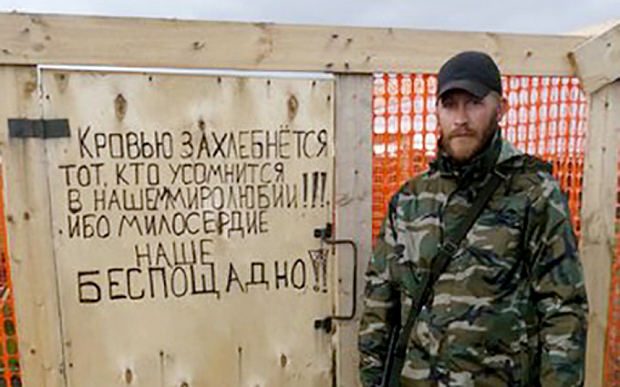 Pictures have emerged of Maksim Kolganov, a mercenary with Wagner, when he was in the city of Luhansk in eastern Ukraine and the port of Latakia in Syria. He is believed to have been killed in Syria on Feb 3 after which he received a posthumours “For Courage” medal from the Kremlin. Several Wagner fighters took part in the battle for control of the Ukrainian town of Debaltseve in January and February 2015. This also involved hundreds of regular Russian troops and involved one of the heaviest artillery bombardments in recent history, dealing a decisive blow to Ukraine’s army. Putin has publicly spoken of how private military companies can be used by the Kremlin to conduct deniable operations. As prime minister in 2012, he called for such companies to be legalised, describing them as a “tool for the implementation of national interests without direct participation of the state”.